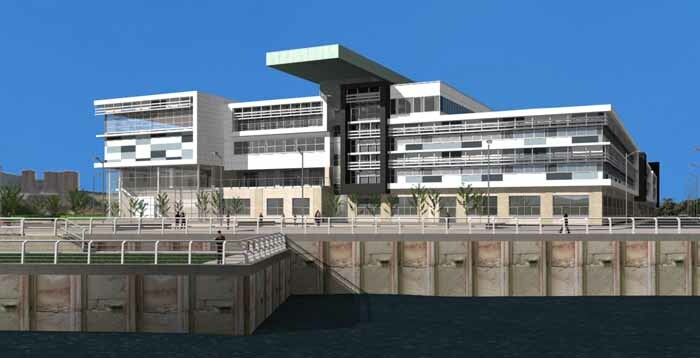 The proposed site for the new Clydebank College forms part of the former John Brown shipyard in Clydebank. This shipyard was one of the most prolific shipyards in the Clyde’s ship-building history. The most famous ships built on the site were the Queen Mary and Queen Elizabeth. 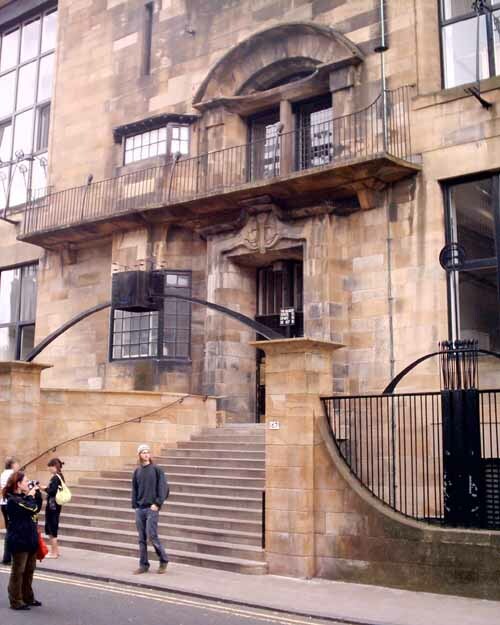 The new College building aims re-create a dense urban form, structured and ordered by streetscape, with the building used to create the perimeter block infill. Car parking areas placed ‘off-street’, to ensure that the new streetscape is ‘pedestrian friendly’. The College’s two new main entrances will front onto new, high quality, public squares. Articulation is given to these entrances at both the north and south of the building by means of dramatic overhanging canopy structures, the scale of which will invoke memories of the vast bulk of the ships which would dominate the surrounding streets as they emerged from the yard. The riverside elevation contains uses which have been placed there to ensure they can engage with the spectacular views, up and down river, and connect with the new public space. The basis of the College site layout has been informed by a typical ‘Collegiate square’, a communal landscaped strip is surrounded by the College building, with the car parking separated from this by means of a high quality landscaped bank. This communal area is conceived as a linear strip or ‘street’, which serves to link all the parts of the College, as well as providing the buffer to the car park. 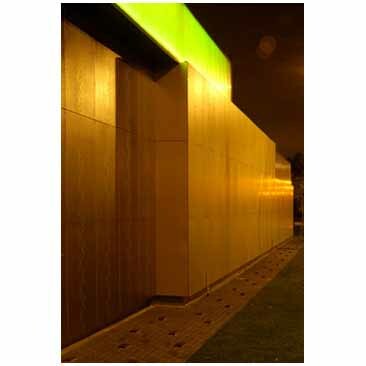 It is intended that the landscaped street will provide a series of high quality landscaped spaces for casual social interaction, vital to the life of any educational campus. 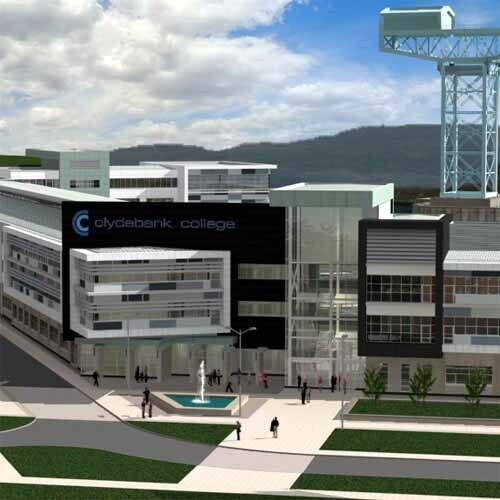 The new Clydebank College has been the catalyst for this exciting urban redevelopment imitative, the College will be open for new enrolments in September 2007.